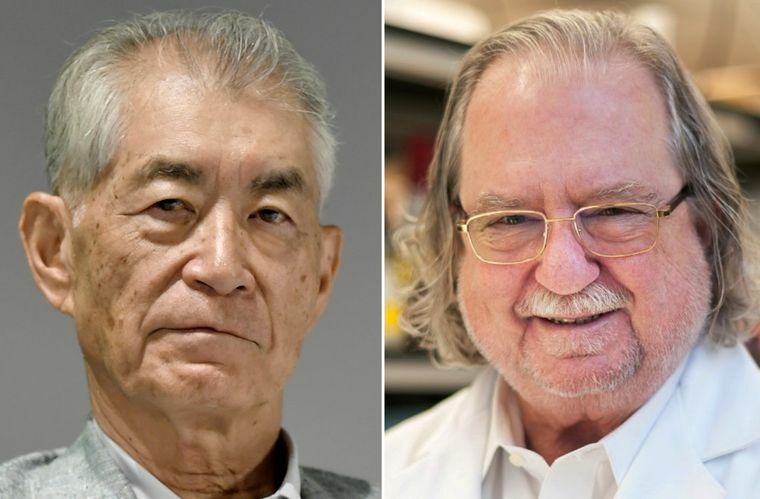 The Nobel Prize in Physiology or Medicine for 2018 was awarded to James P. Allison of the United States and Tasuku Honjo of Japan for their work on unleashing the body’s immune system to attack cancer, a breakthrough that has led to an entirely new class of drugs and brought lasting remissions to many patients who had run out of options. Immunotherapy, as this approach is referred to, is now one of the hottest areas of cancer research and involves boosting the body’s natural immune mechanism to fight cancer. The two Nobel laureates’ research led to the development of a form of immunotherapy called checkpoint inhibitors. These release the brakes on the immune system, blocking proteins that stop it from attacking cancer cells. So how do these checkpoint inhibitors work? Cells of the immune system called T cells (sometimes called soldiers of the immune system), patrol the body constantly for signs of disease or infection. When they encounter another cell, they probe certain proteins on its surface, which serve as insignia of the cell’s identity. If the proteins indicate the cell is normal and healthy, the T cell leaves it alone. If the proteins suggest the cell is infected or cancerous, the T cell will lead an attack against it. Once T cells initiate an attack, the immune system releases a series of additional molecules to prevent the attack from damaging normal tissues in the body. These molecules are known as immune checkpoints. Tumor cells often wear proteins that reveal the cells’ cancerous nature. But they sometimes commit what amounts to identity theft, arraying themselves in proteins of normal cells. Recent research has shown that cancer cells often utilize immune checkpoint molecules to suppress and evade an immune system attack. T cells, deceived by these normal-looking proteins, may allow the tumor cell to go unmolested. Checkpoint inhibitors block normal proteins on cancer cells, or the proteins on T cells that respond to them. The result is to remove the blinders that prevented T cells from recognizing the cells as cancerous and leading an immune system assault on them. Dr. Allison identified a checkpoint called CTLA-4 and Dr. Honjo found a different one, called PD-1. These discoveries made it possible to develop drugs that would stop the checkpoints from working, so that the T-cells would be free to fight cancer. The checkpoint inhibitors now on the market are used for cancers of the lung, kidney, bladder, head and neck; for the aggressive skin cancer melanoma; and for Hodgkin’s lymphoma and other cancers. The first checkpoint inhibitor drugs to be approved were ipilimumab (brand name Yervoy), nivolumab (Opdivo) and pembrolizumab (Keytruda). Ipilimumab was based on Dr. Allison’s work on the checkpoint CTLA-4. The later drugs work on PD-1. “Immunotherapy has been an idea for more than 100 years, to try to treat cancers. So, the ideas are not new…, but we did not have initially the tools that were good enough to make it work. 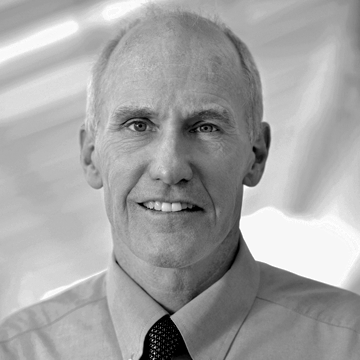 Now we have these, through years and years of basic research on the immune system and ways to modify genes; in fact, the entire human genome sequencing effort has had a major benefit in this cancer immunotherapy…all this can be done now because we have better tools to get the job done” says Dr. Carl June of University of Pennsylvania, the pioneer behind the breakthrough therapy for cancer using genetically modified CAR-T cells, approved by the FDA in 2017. Named “Kymriah” by Novartis, this therapy was approved for treatment of an aggressive type of Leukemia (Acute Lymphoblastic Leukemia) in children and young adults up to 25 years of age who did not respond to other treatments. In this form of immunotherapy, immune cells from the patient are removed and then genetically altered to help them fight cancer. These re-engineered cells are then multiplied in the laboratory and dripped, like a transfusion, back into the patient. This type of treatment is manufactured individually for each patient. When discussing immune system and related therapies, vaccines can’t be far behind. However, where cancer is concerned, vaccines have not been very successful. But all that is set to change and seems like vaccines are back in the headlines with research teams at Stanford University publishing results on two separate approaches. Dr. Ronald Levy’s team injected minute amounts of two immune-stimulating agents directly into solid tumors in mice and found that this could eliminate all traces of cancer in the animals, including distant, untreated metastases. The study has since started human trials. 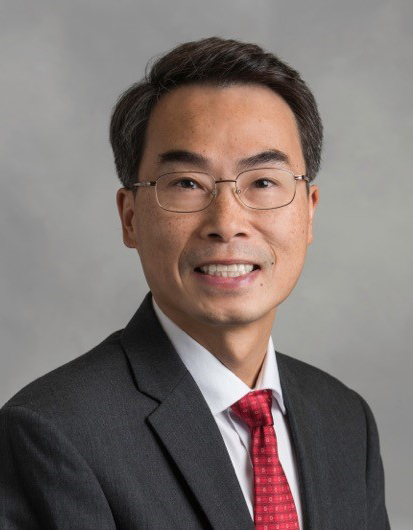 Dr. Joseph Wu’s research team meanwhile, are using pluripotent stem cells (iPSCs) to create a vaccine that makes mice immune to breast, lung and skin cancer. Pluripotent stem cells are master cells that can propagate indefinitely, and give rise to every other cell type in the body. Unlike childhood vaccines, which are aimed at preventing diseases like measles and mumps, cancer vaccines are aimed at treating the disease once the person has it. The idea is to prompt the immune system to attack the cancer by presenting it with some piece of the cancer. The only vaccine approved specifically to treat cancer is Provenge, for prostate cancer. The standard of care for cancer, before Dr. Honjo and Dr. Allison paved way for new immunotherapy drugs included surgery, radiation, chemotherapy and hormonal treatments. However, with the discovery of new drugs and research on experimental approaches, cancer patients now have treatment options ranging from monoclonal antibodies, targeted therapies, combination therapies, personalized therapy, cell therapy to immunotherapy. Monoclonal antibodies used in cancer treatment are designed in a lab to target certain antigens — foreign substances in the body — that live on the surface of cancer cells. By targeting these antigens, the antibodies are able to latch onto the cancer cells and act as a “call to arms” for other disease-fighting warriors in the immune system. The first monoclonal antibody for treating cancer was approved in 1997 for non-Hodgkin’s lymphoma. Since then more than a dozen monoclonal antibodies have been approved by the Food and Drug Administration (FDA) to fight different types of cancer, including breast, head and neck, lung, liver, bladder and melanoma skin cancers. Monoclonal antibody therapy has extended some patients’ survival as much as 10 years. “The development of monoclonal antibodies starting with Rituxan and now reaching checkpoint blocking immunotherapies that target specific proteins and lead to cancer cell death or immune activation is an important development in cancer treatment. The agents in this group include Herceptin for breast cancer; Avastin for solid tumors, Pembrolizumab, Nivolumab and Ipilumimab and others for many solid tumors. 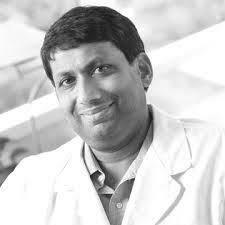 They are non-chemotherapy, targeted antibody treatments”, chimes in Dr. Parameswaran Hari, Hematologist, Medical College of Wisconsin. 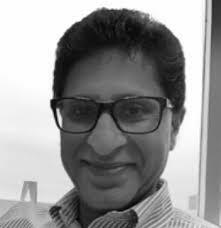 Dr. Hari adds that, the development of orally active small molecules called tyrosine kinase inhibitors starting with Imatinib for a type of leukemia called Chronic myelogenous leukemia (CML) is another important development that reinforces our cancer armamentarium. Tyrosine kinase inhibitors (TKIs) block enzymes called tyrosine kinases. These enzymes are responsible for sending growth signals in cells, so blocking them stops the growth and division of cells. “Now, there are a variety of enzyme inhibitors that are applicable in many cancers such as Sunitinib, Sorafenib, Dasatinib, Lapatinib, Miostaurin…the list goes on”, shares Dr. Hari. Innovations in cancer treatment aim to address a set of issues that will typically face healthcare providers and patients, including aggressive treatment accompanied by unwanted side effects, tumor recurrence after treatment, surgery, or both, and aggressive cancers that are resilient to widely utilized treatments. Various technologies and types of treatment are beginning to pick up steam, therapies that on their own or in combination with other treatments to help defeat cancer more efficiently and, ideally, have fewer side effects. The war on cancer is not over; since a full and total cure is still a work in progress. The handful of cancer drugs available have demonstrated robust and durable results in many patients. With the discover of immunotherapy drugs, we have undeniably turned a corner in our understanding of the disease—what many scientists believe to be a “penicillin moment” in the quest for the cure. Priya is Scientific Media Editor at Applied Informatics/TrialX. She hosts and manages CureTalks, an internet radio talk show on healthcare which brings together experts and people on the same platform engaging in ‘Discussions for Solutions’. She holds masters in Microbiology, degrees in Patent Law, Media Law, and certifications in Writing in Sciences from Stanford University and HR Management from IIM Bangalore, India. She has extensive writing experience with a focus on cancer research, nutrition, and alternative therapies and presents a varied view on healthcare and associated domains. She is also a guest columnist at The Week. Follow (@Cure_talk).